A bestselling foundation, now in an advanced formula, that reduces the look of fatigue and creates flawless coverage. Touche Éclat Le Teint Radiance Awakening Foundation is enriched with stimulating Ruscus Extract, an anti-fatigue formula that energizes skin by stimulating micro-circulation and targeting dullness to instantly improve the look your skin’s brightness and luminosity, while the Vitamin E protects against free radicals. Formulated with SPF 22 to provide sun protection, it leaves a weightless finish while offering eight hours of a refreshed, radiant look. 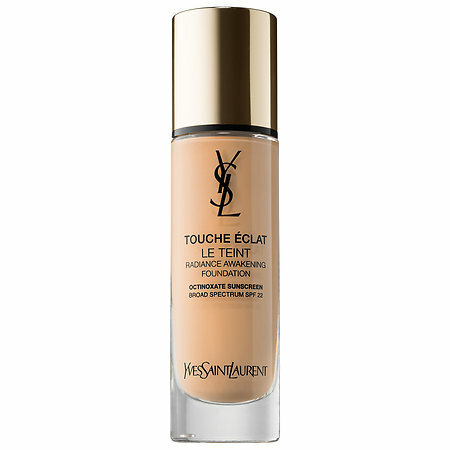 Shop Yves Saint Laurent’s TOUCHE ÉCLAT LE TEINT Radiance Awakening Foundation SPF 22 at Sephora. It delivers eight hours of smooth coverage.